In October 2012, Matt Seiler assembled the top managers of Interpublic’s disparate Mediabrands organization for a high-level meeting to discuss a strategic pivot he wanted the holding company to make in 2013 that he believed would change, not just how Interpublic’s agencies buy media, but the way much of the world does. 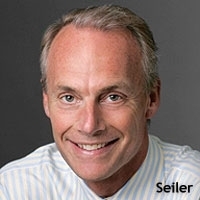 Already leaders in the rapidly growing programmatic media-buying business, Seiler told his team he wanted them to accelerate the process and set a goal of making 50% of all the media bought by Interpublic agencies automated within two years. In retrospect, Seiler isn’t saying what his actual bottom line was heading into that meeting, but he is happy with the outcome. As Mediabrands wraps up the first of that three-year cycle, he says it has achieved the organization’s first year goal of 8% of all its U.S. media being bought automatically. By the end of year two, he says, it will be 23%. And by the end of year three, it will reach 50%. Seiler says Mediabrands was uniquely positioned to take that leadership role, because it had already invested in the resources necessary to, well, put its money where its mouth is. Mediabrands had already developed some of the most sophisticated digital media data and trading systems in the industry and had also quietly been extending them into other media, including television, striking early deals with seminal TV audience-buying platforms like AudienceXpress and Adap.tv. It also reorganized its own infrasctructure, consolidating all of its programmatic media operations — including trading desk Cadreon and audience management platform MAP — into a centralized operation sitting within its Magna Global unit, effectively combining the best machine automation with the best human intelligence. To accelerate the automation process beyond pure-play digital media like online, mobile and social, Mediabrands also formed the Magna Consortium, a mix of leading media companies such as A&E Networks, Cablevision, Clear Channel, ESPN and Tribune, which also represents non-digital inventory like TV, radio, print and out-of-home. Seiler’s point wasn’t just 50% of digital media, it was 50% of all media. “We had benchmarks in order to get there, and we’re on target,” he says, adding that 2014 will be a “big, big, steep climb. Next year will also see the spread of automation throughout the rest of the world as well, as Mediabrands kicks off its acceleration play in the so-called “G14” markets — the 14 biggest ad markets outside the U.S. — with a goal of reaching 50% automation in the rest of the world within a total of five years. The automation initiative alone was enough to secure Mediabrands as MEDIA’s agency holding company of the year for 2013, achieving all three of our main criteria — strategic vision, innovation and industry leadership — but even as the holding company was pushing the industry into greater media-buying efficiency, it also continued to invest — and lead — in the areas of greater media effectiveness, developing one of the most sophisticated data management platforms inside Magna, leveraging proprietary data from clients and third-party data providers like Nielsen and Nielsen Catalina Solutions, and becoming one of the first agencies to sign on to Big Data manager Acxiom’s Audience Operating System (see MEDIA’s Supplier of the Year profile in this same issue). Mediabrands’ IPG Lab, meanwhile, continued to conduct research and development on the bleeding edge of media innovation, and not just the kind of bright, shiny theoretical things it was known for in the past, but some very practical applications of next-generation technologies and consumer trends. The lab partnered with Magna’s research and data analysts to conduct one of the most exhaustive analyses of so-called “second screen” (mobile and social apps experienced on tablets, smartphones, etc.) behavior on television viewing, concluding that for all the industry noise and real consumer behavioral changes taking place, 70% of all media time is still invested on the “first screen” — television. Another thing Mediabrands’ pivoted on in 2013 was a major push toward content marketing, including an acceleration of the kind of “native” advertising formats that are currently the rage on Madison Avenue. It reorganized its disparate branded entertainment and content marketing initiatives and consolidated them under a centralized Mediabrands Publishing unit that has begun working directly with big and innovative publishers and content distribution technologies to develop new ways of extending clients messages to consumers via so-called “owned” and “earned” models, with some sizeable “paid” media-buying leverage behind them. Meanwhile, Mediabrands’ best-known media-buying and strategy brands, media agencies Initiative and UM, had very good years. UM racked up a spate of new business, while Initiative brought in a new management team that helped make it the media agency comeback story of 2013 (see MEDIA Executives of the Year profile elsewhere in this issue). And Mediabrands’ fledgling third media network, BPN, struck creative gold, developing award-winning campaigns that pushed the boundaries — and definition — of media. 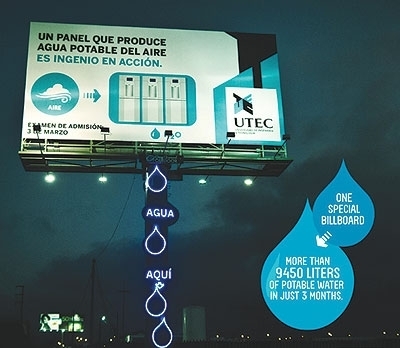 One example is the “Water Billboard,” an outdoor ad the agency created to promote the University of Technology and Engineering in Lima, Peru that actually generated clean drinking water from the humidity in the air around it. While Mediabrands’ 50% automation campaign was the deciding factor for being named Holding Company of the Year, all its initiatives and those of its operating units, fit the criteria.